 S. D. Sadatian, GUPs in various Cosmological Models, Annual Physics conference of Iran, 23-26 August 2004, University of Shahid Abbaspour, Tehran,Iran. S. D. Sadatian, Lorentz invariance violation and geometry space-time, Annual Physics conference, 20 December 2007,University of Mazandaran, Babulsar, Iran. 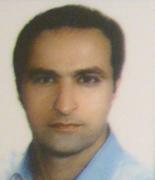 The Best student in higher education of physics (M.Sc), Mazandaran University, 2004. 1- First and Second Meeting on History of Physics, April 2003 and April 2004,University of Mazandaran.